The roaring 20’s were called that for a reason. It was a carefree and fun time, and it showed in the music. From the early jazz of Bessie Smith, to the blues of Blind Blake, the 20’s had it all. So how do you go from here to there? “My whole life I’ve been playing music. Teaching and playing. Different bands, different styles. 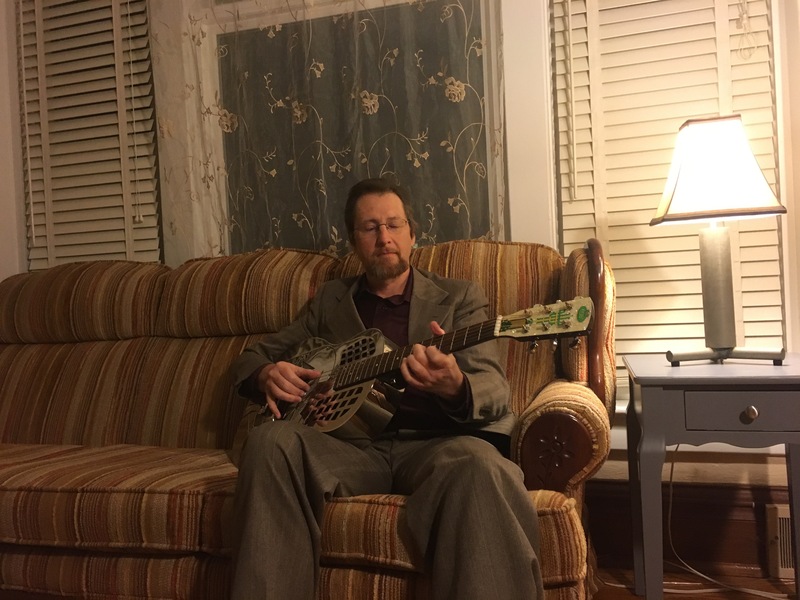 This is the one thing that stays true.” As a professional musician, that’s meant several cross country tours and shows from Maine to California. 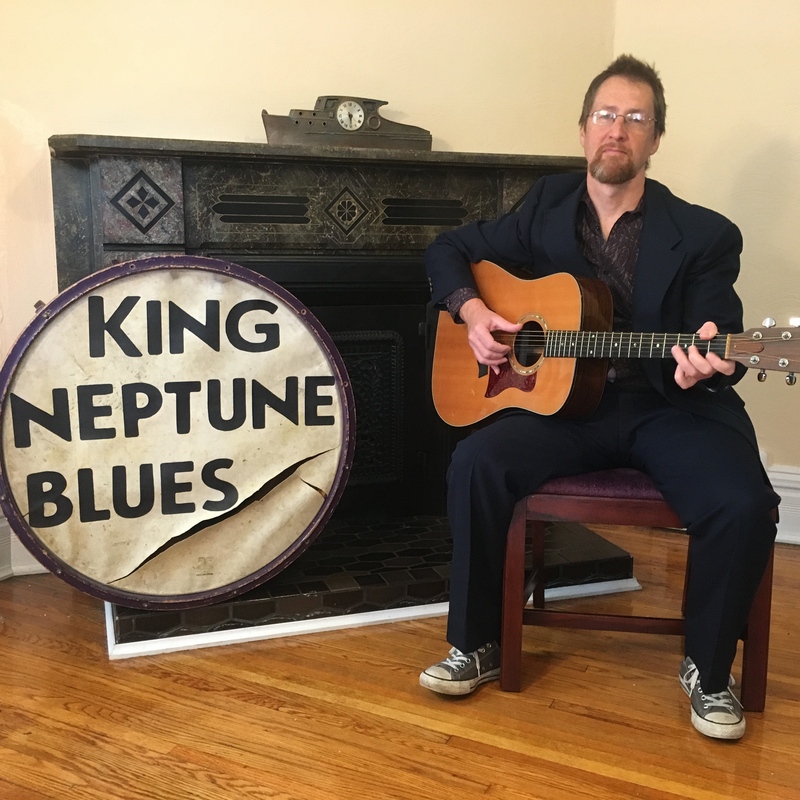 Since moving to Illinois in 2010, he has been playing solo under the name King Neptune. “As a musician, you like to think you’re in charge, but you’re not. The music is. And it’s still telling me what to do.” Guitar and voice, playing the music from the golden age of acoustic blues. You’ll understand why his playing has been described as soulful, groovy and happy when you come and see him. And while you’re there, ask King Neptune how he got his name. This entry was posted in Uncategorized on November 11, 2015 by King Neptune.